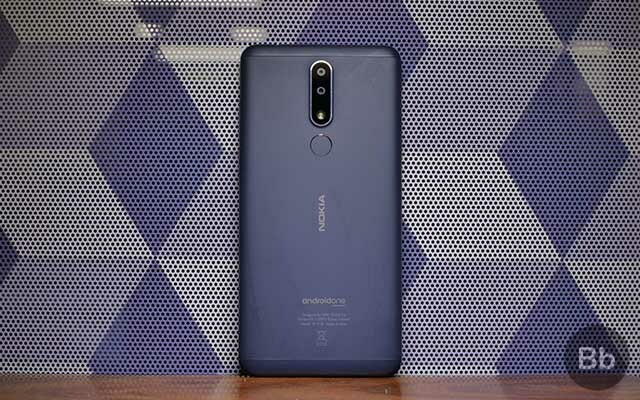 Home Mobile Android Nokia 3.1 Plus First Impressions: Nokia’s New Budget Gem? Nokia 3.1 Plus First Impressions: Nokia’s New Budget Gem? With its current smartphone line-up in India, Nokia has managed to establish a name for itself in the mid-range segment. Be it with the Nokia 7 Plus, or the Nokia 6.1 Plus, the company has been trying to lure the average Indian buyers who’ve been drooling over the Chinese brands. The Nokia 3.1 Plus, on the other hand, is a budget phone. 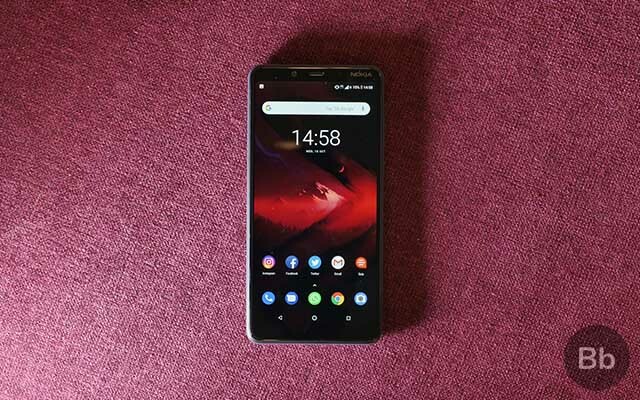 Though it has all the hallmarks of recent Nokia devices including a great build quality, an Android One badge, decent specs for the price, etc., HMD Global has cut some corners to achieve the affordable Rs. 11,499 price tag. So, is it still a solid Nokia budget phone or just another affordable smartphone? The Nokia 3.1 Plus is immediately appealing, thanks to its build quality. It has a flat, yet grippy die-cast metal back that nicely wraps around the sides, giving it a handsome grip. The Nokia 3.1 Plus is a pleasure to hold as it doesn’t feel like one of those flimsy thin plastic phones. It feels surprisingly premium, especially when compared to other budget devices. As you can see, we have the Blue variant with us, but you can also get in Baltic and White, which I believe, will look and feel equally good. Other aspects of the hardware have also been round out pretty well. 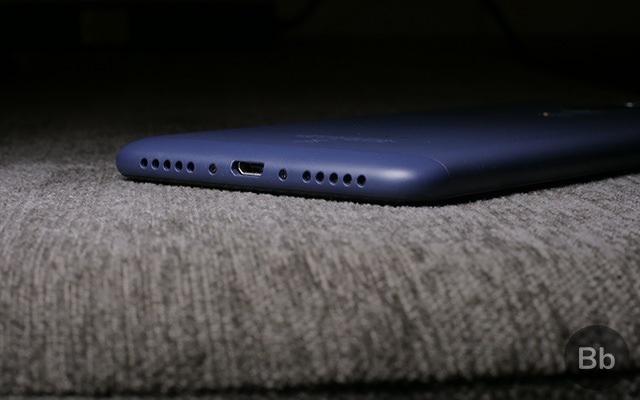 On the top, there’s a 3.5mm headphone jack, that enables the FM radio app on the phone, along with a noise cancellation mic. 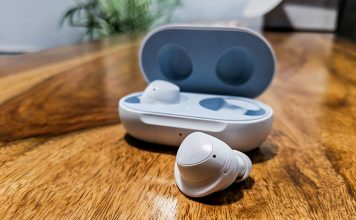 The speaker at the bottom gets surprisingly loud, but you’ll have to make do with a micro USB port for charging and data syncing. Unlike the Nokia 3.1, this time we do have a fingerprint sensor at the back along with the 13MP + 5MP dual camera system. 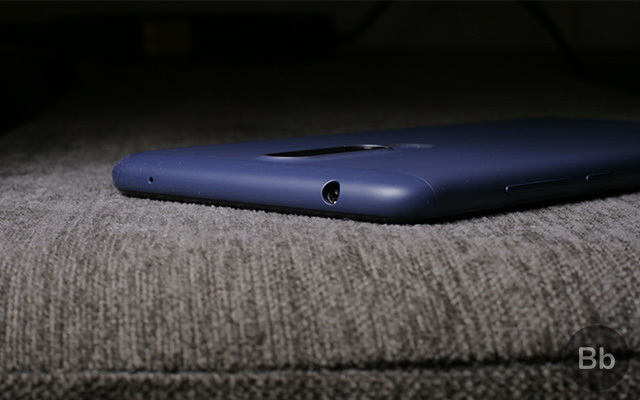 I’ll talk a bit more about the cameras later, but as for the fingerprint sensor itself, I think I can make peace with it since it is the only way you can unlock the phone (unless you want to type in a password or draw a pattern which is, duh, so old school). 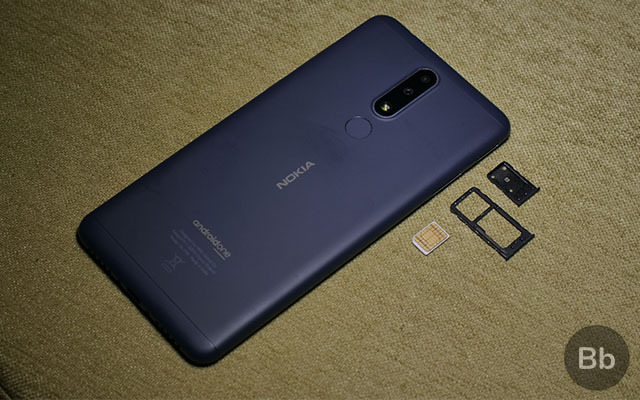 I also like how Nokia has given two separate trays – a slot for SIM 1 & microSD card and a separate slot for SIM 2. 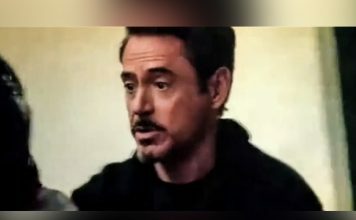 If I have to nitpick, though, then I’d say the buttons could have been better. 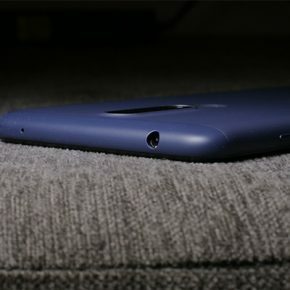 Both the power button and the volume rocker are made of the same material as the back of the phone, so I found them hard to press without actually looking for them. The Nokia 3.1 Plus feels surprisingly premium, especially when compared to other budget devices. The Nokia 3.1 Plus has a big, bright 6-inch HD+ display on the front along with Nokia branding and other essentials like the front-facing camera, earpiece, etc. It’s an LCD panel with a resolution of 720 x 1440, which, I’d say looks a lot like displays on other phones at this price point. 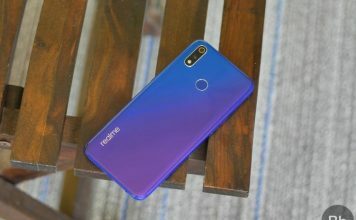 However, the 720p resolution is reserved to phones below the 10,000 price range, so the lower resolution at this price can be a dealbreaker for some. I am happy to report that there’s no notch here, but the 18:9 aspect ratio display is just decent at best. 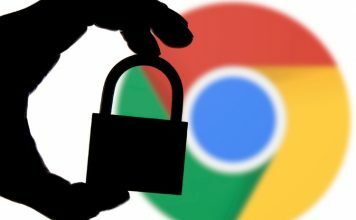 It is also worth pointing out that you’ll be stuck streaming SD movies on services like Netflix, Amazon Prime, etc., thanks to the lack of Widevine L1 certification. I’ve also noticed a weird ghosting effect on texts while the phone is in night mode. Obviously, this can easily be fixed with a software update, but I am yet to see one on my unit, so let’s hope this gets fixed before the phone goes on sale. 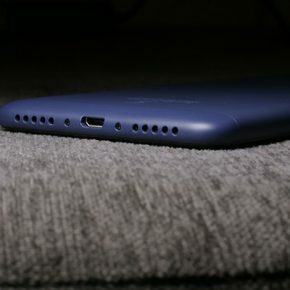 The Nokia 3.1 Plus, as mentioned earlier, is equipped with a 13MP + 5MP camera setup on the back, and yes, the phone can take Portrait Mode shots. On the front, there’s an 8MP camera with support for “bokeh” mode for selfies. I found the camera app to be decent as well. It offers all the essential options and modes to capture the shot you want. 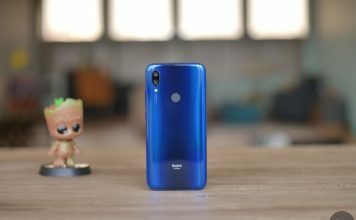 I haven’t had the chance to fully play with the camera yet, so I’ll have more on the camera performance and the app in my full review. The Nokia 3.1 Plus is powered by an octa-core MediaTek Helio P22 processor coupled with up to 3GB RAM and 32GB internal storage. I don’t have a lot to say about the performance just yet, but sometimes the phone does feel sluggish even in day-to-day usage; I’ll reserve my judgement for the full review, but so far the performance doesn’t look very promising, especially if you go heavy on multi-tasking or gaming. The battery life, however, is what exceeded my expectations. The Nokia 3.1 Plus has a 3,500 mAh battery and it has comfortably lasted me for a day without any issues. I’ve managed to get through a medium day of usage with 10-percent charge left. Yes, the phone is not breaking any records with that performance, but a full-day battery is good. Nokia 3.1 Plus has the prestigious badge of ‘Android One’ at its back! 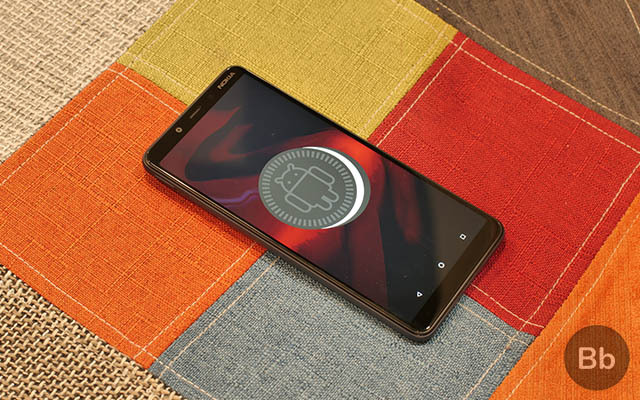 The Nokia 3.1 Plus is a part of Android One Program, which means, it has the prestigious badge of ‘Android One’ at its back. The badge means you’ll get guaranteed timely security updates for the next three years and OS updates for two years. The Nokia 3.1 Plus runs on Android 8.1 Oreo out of the box, but is expected to get updated to Android Pie very soon. Despite running on a vanilla build of Android, I am noticing sluggish animations just while casually browsing the phone. Honestly, I expected a better performance, but I guess, it is too early to judge based on the first impressions. The new Nokia 3.1 Plus is priced at Rs. 11,499 in India and it will be available only on the Nokia store and offline stores starting October 19. With such a price tag, the Nokia 3.1 Plus is directly competing with the likes of the ZenFone Max Pro and the Redmi Y2 etc. 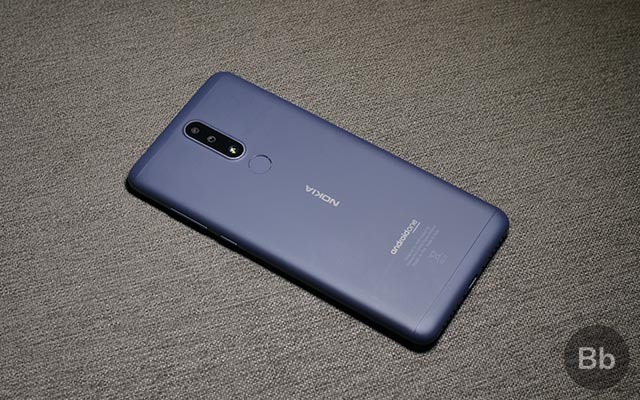 and while the Nokia 3.1 plus does seem to be lagging behind when it comes to the display, the amount of RAM, or battery, it brings the trademark nice design of Nokia and Android One, so even with its drawbacks, the Nokia 3.1 Plus seems like a promising phone, and I’ll be putting it through its paces in the coming days, so be sure to check back for a detailed review and other comparisons.